We hold specialization in offering Corporate Website Designing Services while keeping in mind their specific needs and preferences. They have adopted latest technology so as to fulfill the varied needs of various industries. Our team members provide the clients with more effective technological services to remain ahead in this industry. 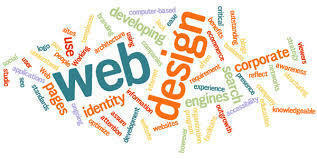 Clients can avail these dynamic website development services from us at affordable prices. We, Rankpie India Private Limited, founded in 2015 are one of the famous service providers for providing the commendable array of IT Services to the clients. We render Web Designing Services, Web Development Services, CMS Development Services, Ecommerce Development Services, Mobile Application Development, Web Hosting Services, Cloud Application Development Services, ERP Solutions Services, CRM Solution Services and Management Software Services. We are completing these services with the help of our experts in full obedience with the set industry values and standards. Our delivered services are highly venerated and appreciated among our patrons for their customer specific service. These services are used in numerous industries for development purpose.